Halloween isn’t far off! 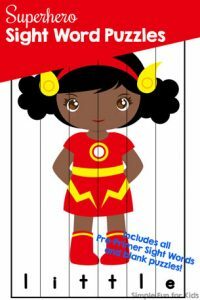 Today, I have another Halloween printable that also works on other days: Rainbow Eyeballs Color Matching Puzzles! 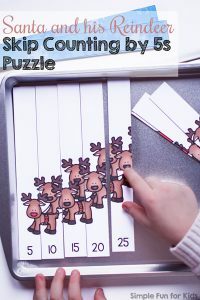 The file includes three pages with a total of ten color matching puzzles in ten different colors: pink, red, yellow, orange, gray, purple, green, blue, turquoise, and white. Each puzzle is made up of four pieces. 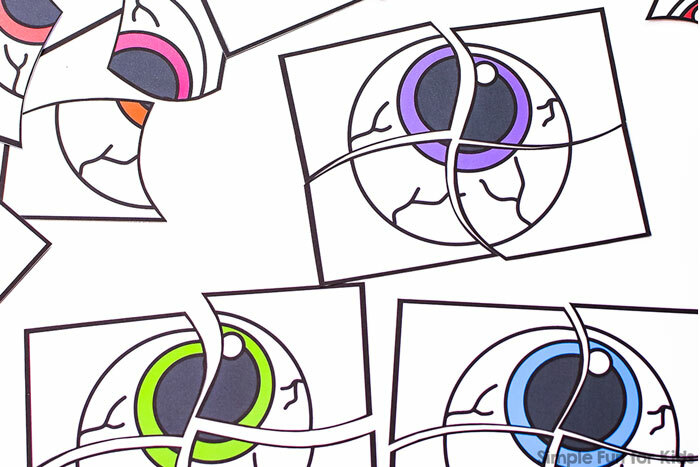 The images differ only in the color of the ring around the pupil. Note that unlike most of my puzzles, this set is NOT self-correcting, and the pieces are all the same shapes between all of the puzzles. Print out the page(s) you want, preferably on heavier paper. 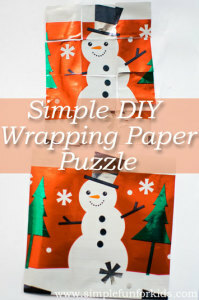 Scrapbook paper works great and makes the back of the puzzle pieces beautiful 🙂 It’s usually a good idea to laminate puzzles for better handling but you don’t have to unless you print on thin printer paper. 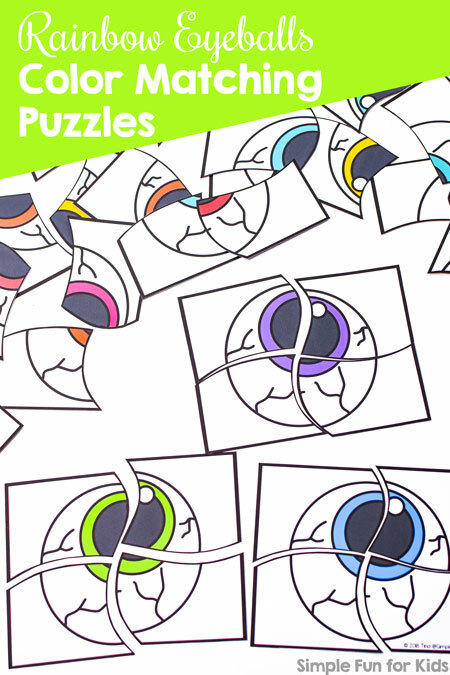 Download your Rainbow Eyeballs Color Matching Puzzles printable! 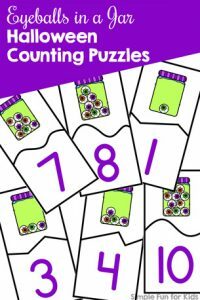 Are you looking for more puzzle activities? Try these!